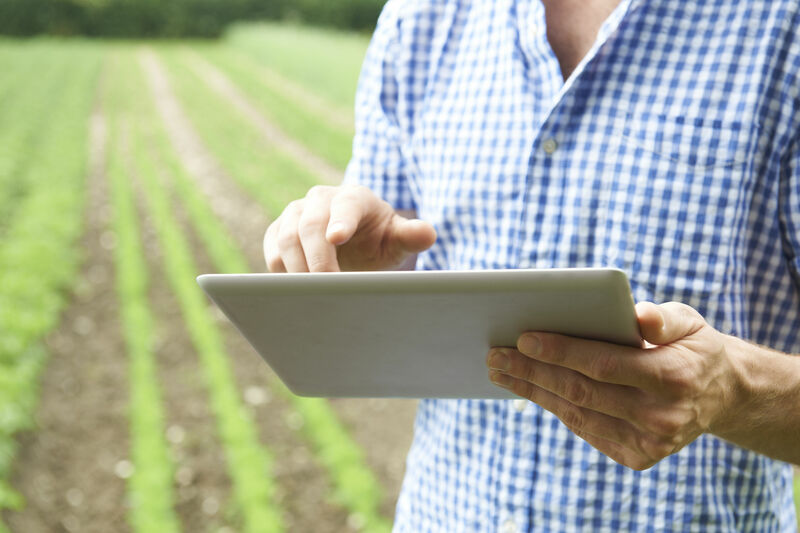 Fertility Management Solutions (FMS) offers agricultural consulting services to growers with an eye towards maximizing profitability through continual improvement of the soil, vigilance in maintaining plant health, effective selection and timing of crop inputs, and fine tuning crop programs. Our goal is to build up your total program as we build a performance-based relationship. We believe that our best work is done in partnership with growers who are looking to implement and follow best practices, build on their established foundations, and take advantage of the most effective advances in technology. Adapt-N provides growers with scientifically based nitrogen recommendations that improve grower profit and environmental performance. Programs include flat-rate, variable and manual application methods. For more information, please contact Adapt-N at 866-208-FARM (3276) or by email at grow@adapt-n.com. Ag Leader designs and manufactures a wide variety of precision farming products, including Guidance and Steering controllers, Planter controllers, Fertilizer and Crop Protection application controllers, Yield Monitors, and Data Management/Precision Software products. For more information, please contact Ag Leader at (515)-735-7000 or at info@agleader.com. Fertility: To grow a bumper crop good fertility is vital. At GMS Labs we put our emphasis on providing you the most accurate results possible. PSNT: Pre-sidedress Nitrate Test, the best test to verify Nitrogen needs for your corn crop. Water GMS Lab offers livestock operator’s analysis of Perimeter tile as required in Illinois (Livestock Management Facilities Act 900.511). If you have a LF number associated with your operation, call to see how we can help you with compliance. Manure: Livestock producers have realized that manure is a valuable commodity and need to understand the value of the material they are applying to their production fields. Nematodes: Soybean Cyst Nematodes are only one of thousands of microscopic worms that can only be seen under high powered microscopes. We can help prevent lost dollars. Radium: This is a special test done mostly by Municipalities to meet EPA Regulations. Heavy Metals: Heavy metal analysis has been increasing over the past few years as gardeners become aware of the potential hazards that may be lurking in the soil of their gardens. Municipalities trust GMS Lab with handling the analysis for land application of filter cake (sludge). Plant Tissue: Whether we are checking corn leaf or potato petioles, the process is the same. We check the growing plant for signs of nutritional deficiency. This analysis allows time for foliar application if necessary; or adjustment in fertility programs. Stalk nitrate, on the other hand, is a post yield check to assess the usage, or over usage of Nitrogen. GMS Labs also offers the SoilBiotics Soil Testing Program. This is a soil analysis that aids in determining pre-plant and side-dress fertilization requirements. It was created by GMS and SoilBiotics with certain criteria to provide an understanding of the crop production capabilities of each field in terms of salinity, soil type, water holding capacity, percolation, and much more! For more information, please contact GMS Labs at (309) 377-2851 or at www.gmslab.com.